Osisko Mining Inc. (TSX.OSK) is pleased to provide new infill drilling results from the ongoing drill definition and expansion program at its 100% owned Windfall Lake gold project located in the Abitibi greenstone belt, Urban Township, Eeyou Istchee James Bay, Québec. The 800,000 metre drill program commenced in late 2015. The program is currently focussed on infill drilling within the main Windfall gold deposit and the adjacent Lynx deposit (located immediately NE of Windfall), exploration and expansion drilling on the main mineralized zones, and deep exploration in the central areas of the intrusive system. Significant new analytical results from 38 intercepts in 13 drill holes and 4 wedges focused on infill drilling are presented below. Note: True widths are estimated at 65 – 80% of the reported core length interval. See “Quality Control and Reporting Protocols” below. The scientific and technical content of this news release has been reviewed, prepared and approved by Mr. Louis Grenier, M.Sc.A., P.Geo. (OGQ 800), Project Manager of Osisko’s Windfall Lake gold project, who is a “qualified person” as defined by National Instrument 43-101 – Standards of Disclosure for Mineral Projects. True width determination is estimated at 65-80% of the reported core length interval for the zone. Assays are uncut except where indicated. Intercepts occur within geological confines of major zones but have not been correlated to individual vein domains at this time. Reported intervals include minimum weighted averages of 3.0 g/t Au diluted over core lengths of at least 2.0 metres. All NQ core assays reported were obtained by either 1-kilogram screen fire assay or standard 50-gram fire-assaying-AA finish or gravimetric finish at (i) ALS Laboratories in Val d’Or, Québec, Thunder Bay, Ontario, Sudbury, Ontario or Vancouver, British Colombia, or (ii) Bureau Veritas in Timmins, Ontario. The 1-kilogram screen assay method is selected by the geologist when samples contain coarse gold or present a higher percentage of pyrite than surrounding intervals. Selected samples are also analyzed for multi-elements, including silver, using an Aqua Regia-ICP-AES method at ALS Laboratories. Drill program design, Quality Assurance/Quality Control and interpretation of results is performed by qualified persons employing a QA/QC program consistent with NI 43-101 and industry best practices. Standards and blanks are included with every 20 samples for QA/QC purposes by the Corporation as well as the lab. Approximately 5% of sample pulps are sent to secondary laboratories for check assay. The Windfall Lake gold deposit is located between Val-d’Or and Chibougamau in the Abitibi region of Québec, Canada. The mineral resource defined by Osisko, as disclosed in the Windfall Lake Technical Report (as defined below) and November 27, 2018 Lynx resource update, comprises 2,874,000 tonnes at 8.17 g/t Au (754,000 ounces) in the indicated mineral resource category and 10,352,000 tonnes at 7.11 g/t Au (2,366,000 ounces) in the inferred mineral resource category. For details regarding the key assumptions, parameters and methods used to estimate the mineral resources presented in respect of the Windfall Lake gold project, please see the technical report entitled “Technical Report and Mineral Resource Estimate for the Windfall Lake Project, Windfall Lake and Urban-Barry Properties” and dated June 12, 2018 (effective date of May 14, 2018), which has been prepared by InnovExplo Inc. from Val-d’Or, Québec (the “Windfall Lake Technical Report”) and the press release “Osisko Releases Mineral Resource Update for Lynx” dated November 27, 2018, which has been prepared by Osisko and reviewed and approved by Micon International, Ltd. from Toronto, Ontario. The Windfall Lake Technical Report and press release are available on Osisko’s website at www.osiskomining.com and on SEDAR under Osisko’s issuer profile at www.sedar.com. The Windfall Lake gold deposit is currently one of the highest grade resource-stage gold projects in Canada. Mineralization occurs in four principal zones: Lynx, Zone 27, Caribou and Underdog. All zones comprise sub-vertical lenses following intrusive porphyry contacts plunging to the northeast. The deposit is well defined from surface to a depth of 900 metres and remains open along strike and at depth. Mineralization has been identified 30 metres from surface in some areas and as deep as 2,000 metres in others, with significant potential to extend mineralization down-plunge and at depth. 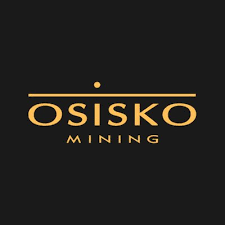 Osisko is a mineral exploration company focused on the acquisition, exploration, and development of precious metal resource properties in Canada. Osisko holds a 100% interest in the high-grade Windfall Lake gold deposit located between Val-d’Or and Chibougamau in Québec and holds a 100% undivided interest in a large area of claims in the surrounding the Urban Barry area and nearby Quevillon area (over 3,300 square kilometres), a 100% interest in the Marban project located in the heart of Québec’s prolific Abitibi gold mining district, and properties in the Larder Lake Mining Division in northeast Ontario, including the Garrison property. The Corporation also holds interests and options in a number of additional properties in northern Québec and Ontario.